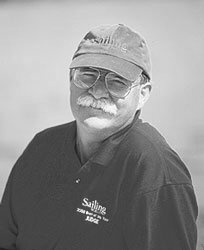 Designer of over 50 production and custom sailboat designs. The production boats included the popular Express line (27, 34, 37), the Alerion-Express line (20, 28, 38), and the Capo 30 (which later became the Olson 911-S) and 26. Carl worked for Gary Mull for a few years before opening his own firm in 1976. Four of his designs have won Sailing World's prestigious Boat of the Year awards, most recently the Synergy 1000, which won 'sport boat' honors in '99. Among Carl's best-known custom designs are Summertime Dream, Wall Street Duck, National Biscuit, Heart of Gold, Swiftsure II, Recidivist, Surprise, and Q.